This weekend’s forecast? 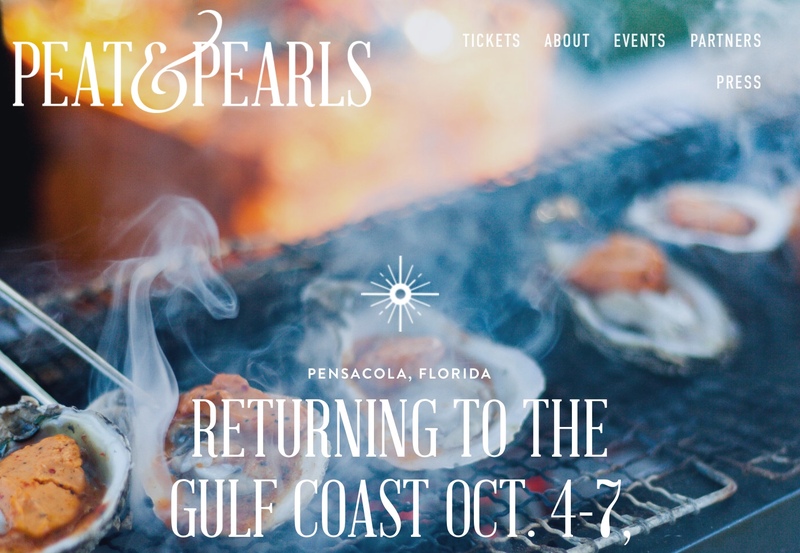 Things are looking pretty and gritty in Pensacola as Peat & Pearls returns to the Gulf Coast for its second annual event celebrating Scotch and Oysters. Here is everything you need to know before you go – so grab your best girlfriends or a hot date, your favorite strand of pearls and a pair of grass-friendly wedges to come out and enjoy a taste of the Gulf Coast in style! Why: A portion of ticket sales will benefit the oyster shell recycling program run by Keep Pensacola Beautiful. You can purchase your tickets to Peat & Pearls here – use promo code “FRIENDS” to receive 20% off of your standard ticket purchase. The prettiest pearls wouldn’t exist without a little grit. And the Gulf Coast, known for its opulent, sugar-white beaches and Old-South charm, was built on the backs of fishermen, sailors and seafarers. Peat & Pearls celebrates this heritage through two of our favorite things: Scotch and oysters. Since moving to the Eastern Shore from Birmingham about three years ago my husband Jordan and I have fallen in love with exploring everything the Gulf Coast has to offer. One of our favorite places is the host of Peat & Pearls – Pensacola, a picturesque, colonial-era seaport on the Florida panhandle. The city, first settled by the Spanish in 1559, is only 15 minutes from the sugar-white beaches and turquoise water of the Gulf of Mexico and about a one-hour drive from our Eastern Shore home in Fairhope. Those closest to me know I have been mesmerized by oysters since I was a little girl – to such a large enough extent that when I was younger I believed I was part Mermaid (I recently learned that this phenomenon is known as Mermania thanks to Mobile Fashion Week 2018). The colors of the shell have always been alluring to me – so much so that I planned our Gulf Coast wedding colors around the inside of an oyster shell, you can read about that here. 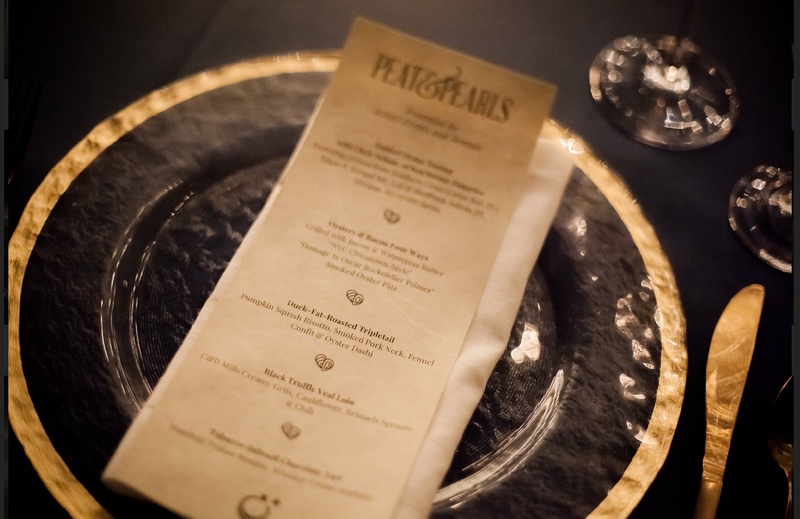 Given my obsession with oysters and the love I have for pearls that is ingrained in my Southern DNA, I jumped at the opportunity for The Southern Atelier to co-host Peat & Pearls – despite the fact that I am leaving for France in a few days. 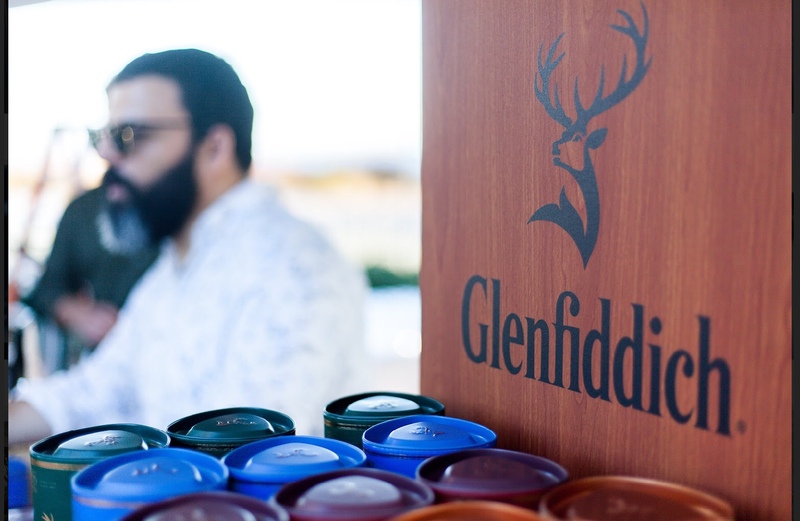 The fact that champs and Scotch were also in the equation may have helped, too…who doesn’t love a little Glinfiddich Fire & Cane and Treasury Wine Estates champagne?!? The event will be so fabulous that my conclusion was this – For Pensacola’s Peat & Pearls, Paris can wait! 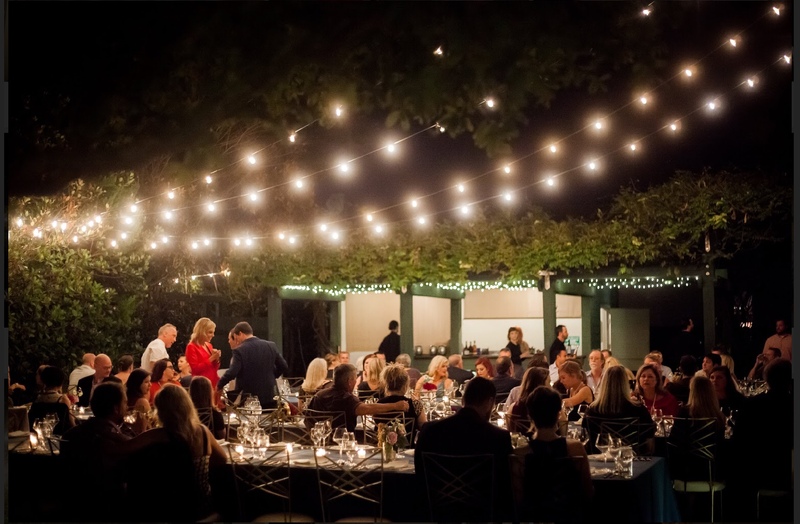 Event tickets can be purchased here a-la-carte, meaning you can pick and choose which parties you want to attend. Of course we suggest you go big, get the VIP tickets and party in style! The VIP Reception will be open to VIP ticket holders, event sponsors & visiting farmers & chefs. The Lee House, located on the waterfront in the serene, colonial-era neighborhood of Seville, offers sweeping views of Pensacola Bay — the perfect place to relax and unwind ahead of the weekend’s festivities. Peat&Pearls is partnering with one of our favorite reads, VIE Magazine – a national luxury lifestyle magazine. VIE focuses on fusing fashion, travel, philanthropy, health and art to inspire readers with elegance and grace. This partnership will produce a special, salon-style event highlighting the perspectives of women in whiskey and oysters — two fields that have traditionally been dominated by men. The evening, part of the magazine’s VIESpeaks event series, will begin with a cocktail hour, followed by a panel discussion featuring women oyster farmers, Glenfiddich brand ambassador Tracie Franklin and Katie Garrett, owner of Pensacola’s Old Hickory Whiskey Bar & co-host of The Bourbon Bettys podcast. This event will be a fashionable take on a TED talk – it will be fun and a bit less formal than the other nights. We will be dressed in fashion-forward, chic casual attire – it is a party with VIE Magazine, after all, so bring on the style! 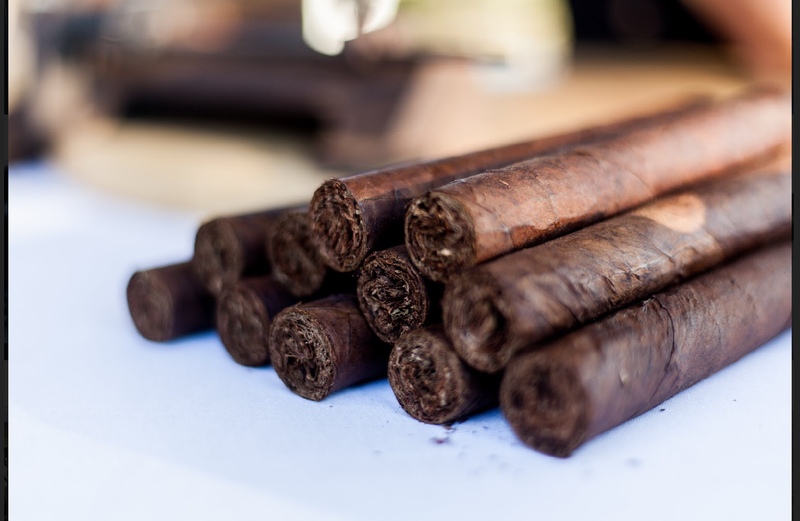 The Grand Tasting — featuring premium oysters, fine cigars and more than a dozen award-winning chefs from all over the South. Oh yeah — and plenty of whisky. Sunday’s Grand Tasting will be hosted at the Barkley House — a picturesque, 19th century estate located on the waterfront in Downtown Pensacola. 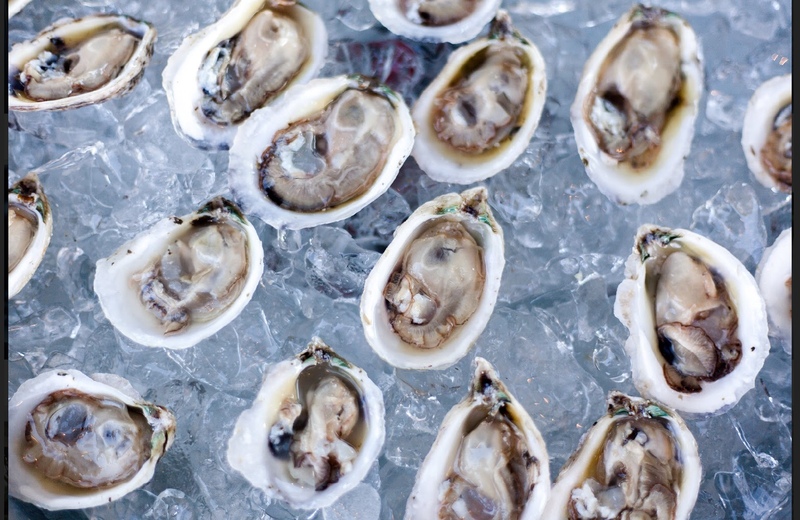 Guests will mingle with oyster farmers & celebrity chefs from across the Southeast (including Chefs Cody and Sam Carroll, stars of The Food Network’s Cajun Aces) as they enjoy a variety of naked, cooked & composed oyster dishes. There are still a handful of rooms available at the Lee House, although it is booking up quickly. 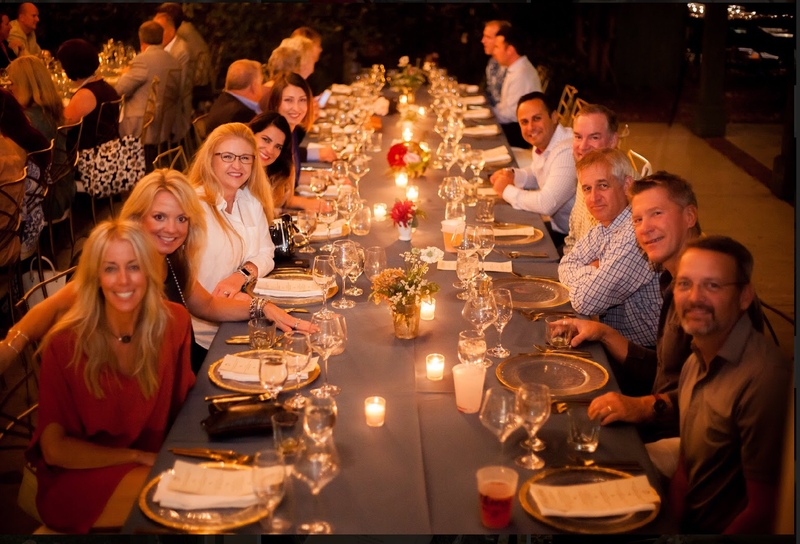 We highly recommend that VIP ticket holders stay at this beautiful boutique hotel located in the Historic District of Downtown Pensacola, since The Lee House is where the VIP reception will be held, among many reasons. VIP ticket holders can rub elbows with Food Network Stars Sam and Cody Carroll, eat, drink and be merry and when the night is over simply saunter over to their beautiful guest suites overlook the glistening waters of the Pensacola Bay. Guest Suites for the event can be purchased at a special rate – simply mention “Peat & Pearls” when you call to book. You can visit the Lee House’s web site or call 850-912-8770. Here is your chance to taste the whiskey before we do! 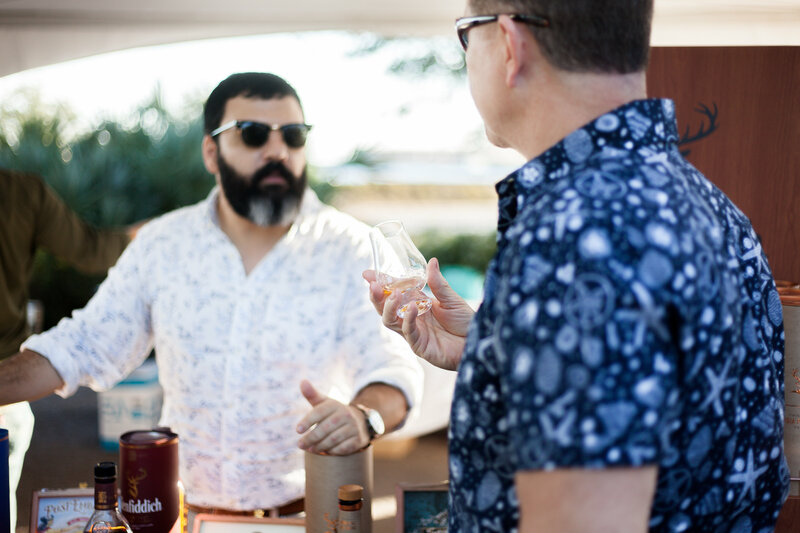 In honor of this year’s Peat & Pearls, the event teamed up with some of Pensacola’s brightest mixologists to create a series of cocktails inspired by Glenfiddich’s new, experimental whisky: Fire & Cane. From now through Oct. 5, you can try these limited-edition masterpieces at participating bars. Vote for your favorite, and you could win two passes to the Peat & Pearls Grand Tasting on October 7th! Click this link for more information. For the ladies, pearls are always appropriate in the South and are especially relevant for this event. We do suggest that you do not wear pointy heels as several of the events will take place in grassy areas. 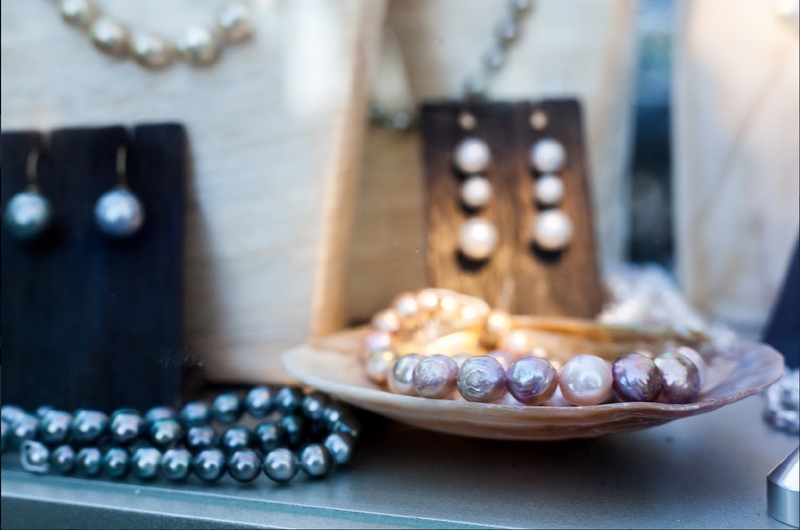 Wedges, thick heeled booties or flats will look perfect paired with pearls for each event this weekend. The gentlemen can leave their coat and ties at home – someone forgot to inform Florida that its October! Although it is warm outside, we suggest that you do not wear jean shorts and instead settle for something in the middle. Since this is a style blog we would be remiss if we did not suggest that you dress to impress but at the same time do not stress – at The Southern Atelier we believe fashion should always be fun! We love the freedom that comes with fashion in general living on the Gulf Coast. There is something about proximity to the water that makes one want to shed the structured, buttoned-up, high-fashion pieces in favor of embracing the easy elegance of Coastal lifestyle. The no muss, no fuss — yet perfectly pulled together — approach to dressing is utterly contagious, to say the least. One of my favorite things I have found about living on the Gulf Coast is that everything goes; you are free to express yourself through your fashion choices in any manner that pleases you. The fashion scene here shows less restraint, leaning towards chic comfort and casual pieces paired with artisan hand-made jewelry, creating one-of-a-kind looks that embrace individuality and creativity. This laid-back luxe approach to styling really gives the area that eclectic and artistic vibe that I have come to know and love since moving here a little over three years ago. 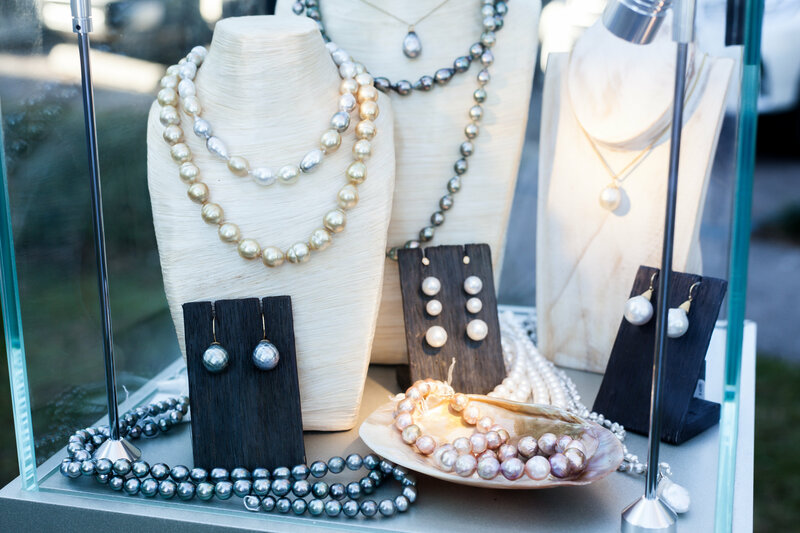 Events like Peat & Pearls are the perfect time to push yourself slightly outside of your ‘everyday-dressing’ comfort zone and don something both unexpected and fabulous. Every woman has an outfit they love and want to wear but just needed the right occasion…and this is it! What better time to dress up and show off than a fabulous event that celebrates our Southern, Coastal way of life? Follow us on Instagram for some sneak peeks at what we will be wearing to Peat & Pearls (Hint: it will involve Southern designers DH Designs, Kara Strope Designs and Wisteria Way Designs, to name a few). What are you going to wear? We cannot wait to see what you come up with! So put on your best, boys and I’ll wear my pearls. Stay tuned for posts coming up soon: Mobile Fashion Week Wrap-Up, Minette Boutique Launch, Post-Event Coverage of Peat & Pearls, Kara Strope Designs Online Launch, a spotlight piece on our new fashion correspondent Niki Coker and of course Adventures of Blogging through Burgundy!